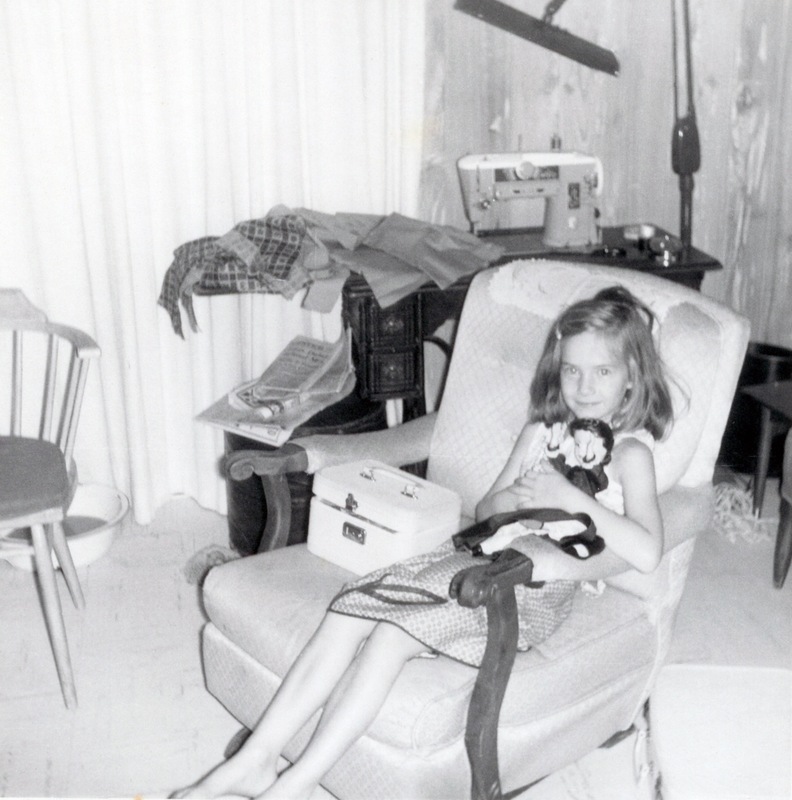 I have no memory of liking any dolls other than troll dolls and my Caroline Kennedy doll–oh and Chatty Cathy. That’s my grandfather’s lamp in the back. It still works–used to be in one of our son’s rooms. Now it’s up in our attic. And that’s my grandmother’s sewing machine. She used to make clothes for me–she even made my prom dresses. She tried to teach me, but it didn’t take. Now Cal sews on all our buttons. I wish we still carried train cases. How did I not know there was a Caroline Kennedy doll? And how cute were you? And have train cases been superseded by daypacks? And yeah, I have a button I need to sew on my favorite pair of work (trail/SAR) pants. Cal’s too far to send it to…. Nice homely picture and interesting observations. It seems like life was simpler back then.